The Band's Visit Set Closing Date! 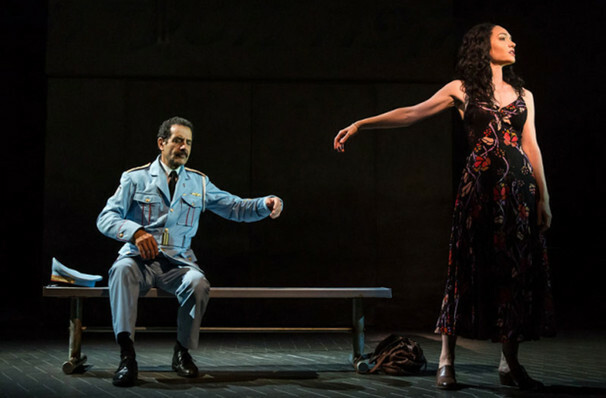 After opening on Broadway in November 2017, and going on to earn themselves an astonishing 10 Tony awards, The Band's Visit have planned their final visit to Broadway. The Tony Award-winning musical will play its final performance on Sunday, April 7, 2019 at the Ethel Barrymore Theatre. In total, the musical will have played 36 preview performances and 589 regular. Over the years The Band's Visit has been nominated and won an extraordinary amount of awards, their most notable being the 2018 Tony Awards. Nominated for 11 awards and taking home 10 including Best Musical, Best Actor in a Musical (Tony Shalhoub) and Best Actress in a Musical (Katrina Lenk). If you're not able to catch this beautifully etched musical on Broadway, then you'll have another chance to catch it when it heads out on a North American tour in June 2019. View our show pages for more information about The Band's Visit, Ethel Barrymore Theater.